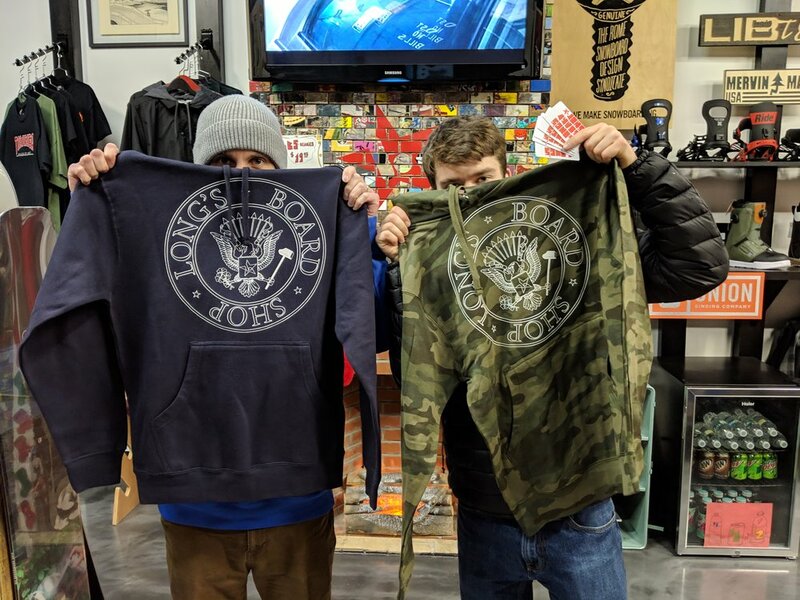 Winter edition of the Long’s Board Shop hoodies are here! Since opening in 2012 we’ve been having all our hoodies and t-shirts done by the great local company Arm Factory and our two companies have grown quite a bit in that time. We now can also say our hoodies where screened by skaters too, as local ripper Eric Santos did them up at the Factory (he also filmed this video of the process). Come grab them in either navy or camo (true blue was a one-off just for me!). Here's a video edit of the Payson Park Rail Jam thanks to Molten Mice Media! Over $500 was raised that day towards the Portland Skatepark Expansion. Big thanks to Gnu Snowboards, Vans, Portland Pie, Capt'n Eli's, Portland Parks & Rec, and absolutely everyone who came out, threw down, and contributed! Fun day for the cause. It's been a bit since the last Krooked video came out, but seeing Mark and the gang is worth it. Deluxe, always supporting local shops, sent out copies so that we could premiere it before it hits the rest of the world. Come take a break form the holiday madness to watch LSD (let's skate dude) here at the shop, rolling all day Saturday! Team Rider Tristan put together an edit from the Go Skateboarding Day events we threw down at the Portland park this year. Thanks to all that came out and to our sponsors: Bones Wheels, Bones Bearings, Powell Peralta, and Amato's Pizza!